Does your child interrupt conversations, whether between adults or children? 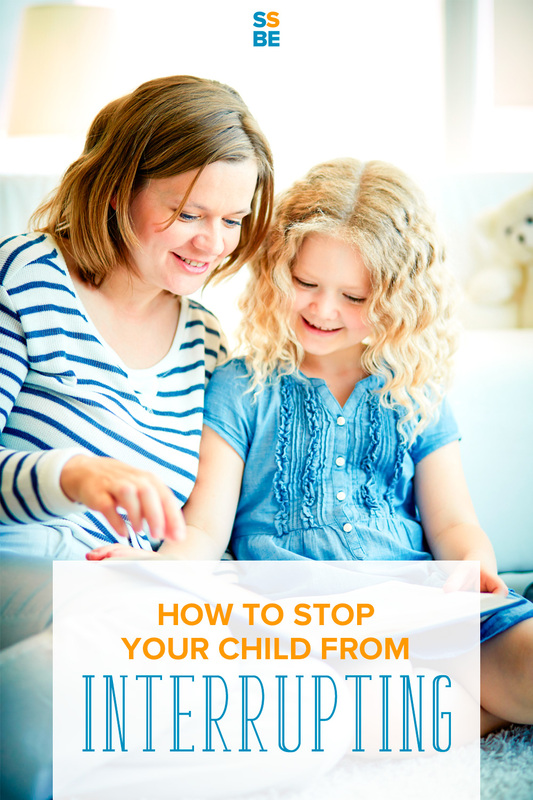 Learn how to stop your child from interrupting, all without a meltdown. I was sitting across from my husband during family dinner time discussing the next day’s schedule. Just as I was trying to get my head straight on what to pack for lunch or what time swim classes start, the kids cut in. In most cases, my kids don’t know any better about interrupting. They say what’s on their mind at that moment, regardless of timing or opportunity. Though innocent the intentions, I wanted to stop and correct them before they develop a bad habit. Or worse, they think interrupting conversations is all right. We’re tempted to accommodate kids when they interrupt. We’ll stop our conversation and listen to their stories. It’s faster that way, it seems. Say it respectfully and kindly—he’s still learning social etiquette and isn’t interrupting on purpose. Hold up a finger and continue your conversation, indicating to your child that he has to wait. Then, address your child and let him have his turn after you wrap up your conversation. Don’t tell your kids to wait their turn and end up never giving it to them. It’s important to empathize with your child’s feelings. You don’t want her to feel like her stories aren’t as important, or to belittle the excitement she feels about what she wants to say. That’s usually why kids whine in the first place. They feel like they’re not important enough to inject their own stories into the mix. Acknowledge her stories and feelings. Explain why she has to wait, but let her know she’ll have your attention soon. You’ll have better luck asking her to wait this way. Sometimes, kids interrupt because they’re not given the chance to hop into the conversation. When speaking to other adults, include your child in the conversation as well. Ask her for her opinions. When talking about your day, include her while still speaking to her level. This is especially important when you’re talking about her. Imagine having others talk about you with you in the room—doesn’t feel right, does it? We need to be respectful to our kids just as we would other adults. Interrupting isn’t a bad habit only kids have. We also interrupt kids when they’re talking. Sure, they may ramble or their topics may seem insignificant (to you! ), but they deserve just as much respect, time and attention as we do. So whether she’s telling you about her day or even why yellow is better than orange, give her your attention. When others—whether adult or child—interrupts, ask them to wait until she’s finished. Holding others accountable tells your child that interrupting isn’t right for anyone to do. And more importantly,s he deserves the same respect and time as other adults. Interrupting conversations, even if done unintentionally, isn’t a habit I want to encourage. 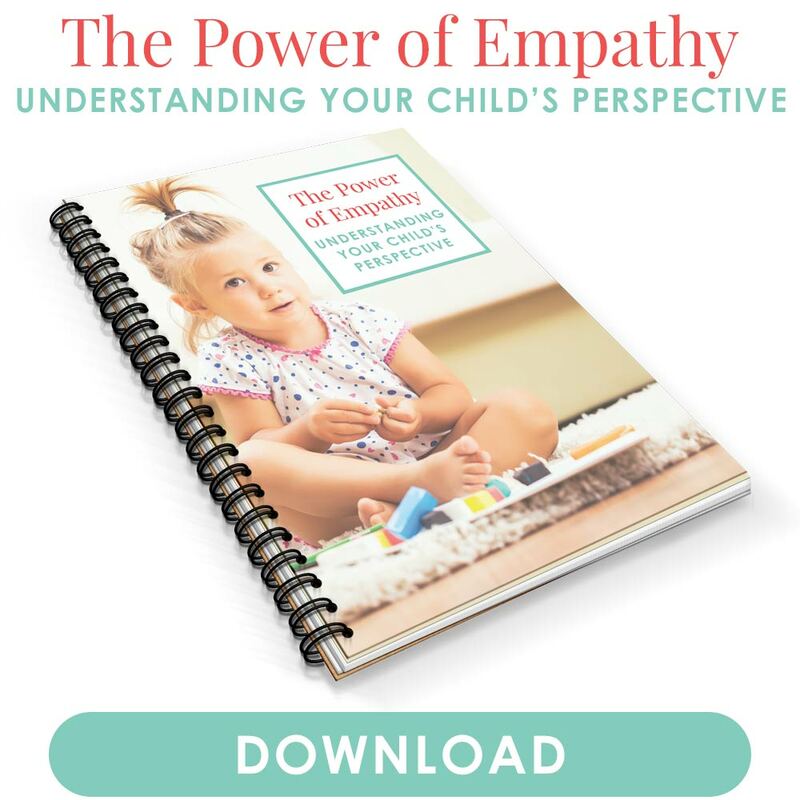 Tell your child to wait while acknowledging and empathizing with his feelings. Include her in conversations so she feels like she belongs.And give her the same attention you would other adults and tell others to wait when she’s talking. My kids have had to learn to wait their turn and share their stories—from butterflies to broccoli. 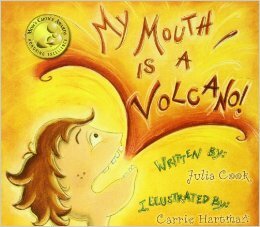 And read My Mouth Is a Volcano (affiliate link) by Julia Cook with your child. The story talks about why kids interrupt and ways to stop. Your turn: What are your tips on how to stop your child from interrupting? We are working on this a lot now. It’s especially hard to get O to stop interrupting since it’s more difficult to reason with a 2yr old. Nevertheless, we’re trying. Oh tell me about it, Lisa. In fact, I’ve caught myself saying a few times this week, “They’ll be older soon,” whenever I’d get frustrated that the twins couldn’t just simply understand. I like that you advice including your child and sometimes having others wait so that your child feels that common courtesy is being shown to them rather than simply demanded of them. Thanks MaryAnne. Most of happy parenting stems from mutual respect, and I think it applies to this situation too. Learning how to wait your turn in a conversation is a really important social skill. Parents may allow their child to interrupt because they want to let him know how much they value what he has to say, but children also need to develop good social habits and this is actually doing him a disservice in the long run. I think you nailed it, Nikki—whenever I notice an adult turning to the child, it’s usually with good intentions of showing they’re valued and not ignored. I think we can do both by addressing the kid while still telling them to wait their turn. I love the advice about having others wait while my kids talk. My daughter has a real interrupting problem and I have zero patience for it! It’s bad in person or on the phone. Or even while writing. Yup, I’ve had to do this with several adults, and I think we’re all guilty of this at some point or another. I know I’ve tuned my kids out and butted right into a conversation he was having with someone lol. We’ve been working on dealing with interrupting for a while now. It can be very difficult to remember to go back and give the child their turn, but it is so important. We’ve also found that’s it’s important to return to the child quickly, instead of letting a conversation completely finish If we wait too long, our girls get very impatient and can start interrupting even more! This is such a problem at my house! My youngest has started raising his hand when he wants to talk (because he’s in Kindergarten this year) and I think it’s cute. My middle, though gets so frustrated, and when we turn to him to speak, he cries because he “forgot what he was going to say! !” I need to start telling him to write it down, but I suspect it’s not usually essential info he wants to impart. Oh man Rabia I just chuckled at your son’s cuteness! So cute he gets upset that he forgot what he has to say. Man, I am now starting to have to hold three conversations myself, now that the twins are older. Lord help me lol. I’m sure you can relate to feeling like a ping pong ball bouncing from one conversation to the next.